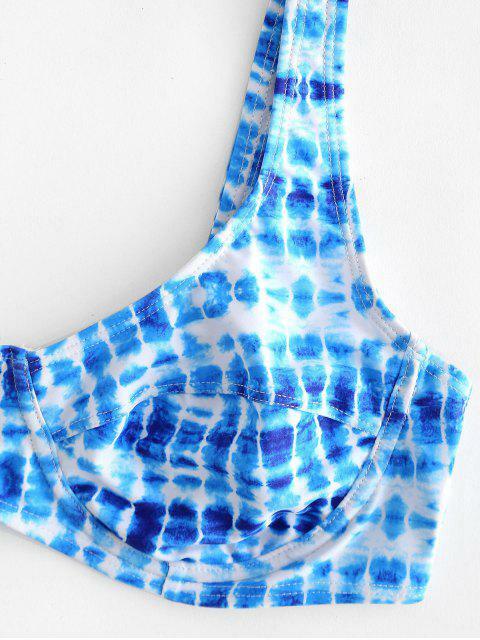 [41% OFF] 2019 Tie Dye Underwire Bikini Set In OCEAN BLUE | ZAFUL .. In an eye-catching tie-dye design throughout the set, you are about to have a very striking look. The top has a deep v-collarline style which separates the bust line and shows off your figure. It fastens in back with a hook-type fastener, and has no padding but underwire to support. The bottom in a thong style which shows off your buttocks leaving nothing to the imagination.